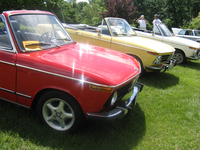 The BMW Car Club of America Foundation was formed in early 2002 in Greenville, SC with initial capitalization from the BMW Car Club of America. The Foundation is a tax-exempt, 501(c)(3) public charity. 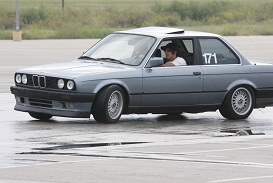 Today the BMW CCA Foundation is one of the world's pre-eminent resources for information about BMWs and BMW history. Whether you are seeking a wiring diagram for the BMW you are restoring, or a limited edition print to give as a gift to the BMW enthusiast in your life– the BMW CCA Foundation should be your first stop. The Foundation has been providing avenues for encouraging the preservation and restoration of vehicles, and BMWs in particular. A national archive and library has been established in Greer, SC, which receives memorabilia related to, but by no means limited to, BMW and provides public access to this collection. Since 2003 the Foundation has offered subsidized car control training to teenagers across the United States through its Street Survival® program expanding this critical human services program to more communities and more teens each year. Please consider assisting the Foundation achieve its goals by making a tax deductible contribution today. Your donation will help defray the cost of its ever-expanding services - such as Street Survival® Teen Driver Safety Program.